Flippers.be - CEA pinball machines from Italy, company history and games. 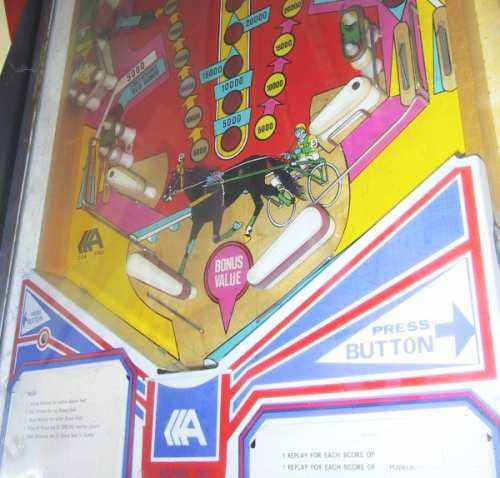 CEA Electronics Corporation is an Italian company (from Bologna) that made pinball machines between 1977 and 1979. I don't have any technical information about them. As you can see in the pictures below, their boardset was also totally custom. Although solid state, their games were still very basic. 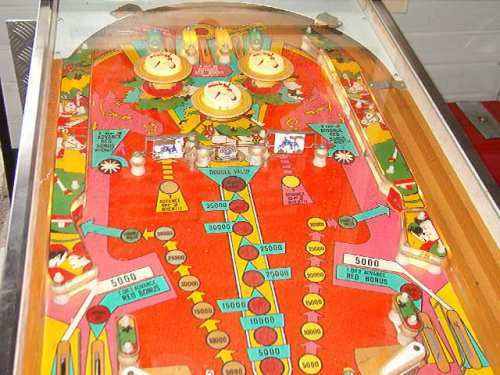 CEA Satelite for instance is a simplified copy of the electro-mechanical Gottlieb Jet Spin (many small European pinball companies just copied other models). 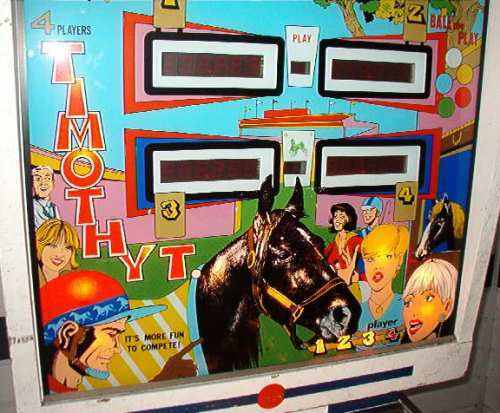 Here are pictures of their game Timothy T, made in 1977. It was the first game they made. It exists in an electro-mechanical version and in a solid state version. 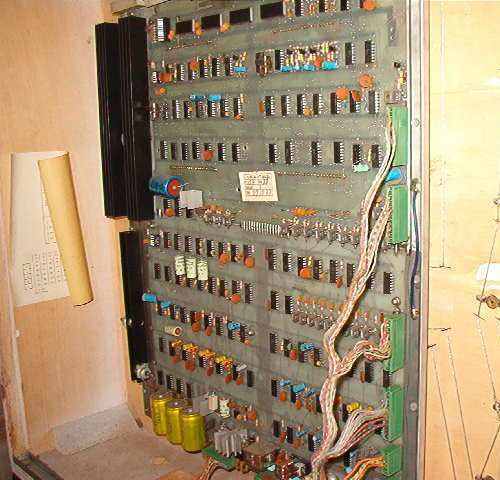 Later games were all solid state. I think Timothy T was their first and also most popular machine as I've seen it already a few times at warehouses of operators in Belgium. The other CEA pinball machines I have never seen in real life.